The one-time host of CNN's "Inside Africa," Soni Methu Kenyan journalist, died at the age of 34. She died Thursday after collapsing from pains in her stomach, her sister, Faith Methu, said in a statement. Faith Methu said it looked like her sister was having a seizure and she died on the way to the hospital. What led to her death still remains unknown till now. "We don't know much but a post mortem will be done to tell exactly what happened," Faith Methu said. 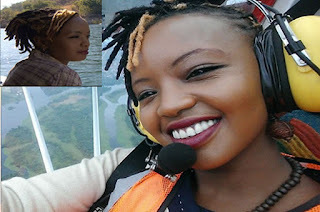 Soni Methu hosted "Inside Africa," CNN International's longest-running feature program, from 2014 until 2015 when the show moved to a new format without a presenter. "We are shocked and saddened to learn of the passing of our friend and former colleague Soni Methu," CNN said in a statement. "Our heartfelt condolences to her family and friends, from all at CNN." Soni Methu was a reporter at the Chinese-owned news network CGTN at the time of her passing. She was previously the east Africa correspondent at E News Africa for two years, where she covered the Westgate Mall terrorist attack in Nairobi and other incidents in the region. Before that, she was a reporter for South African news channel eNCA.